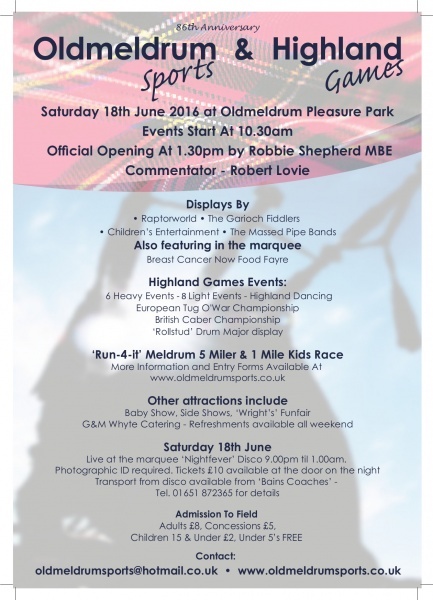 The 2016 Oldmeldrum Sports and Highland Games are here. Come and have a great day out. Or follow this link to enter the 5K Fun run. Click on the poster to view and download a copy.